Features continuous band of sprung steel to provide rigidity to outer circumference. All Models: Chemical-resistant, 10 mil. polyethylene construction. Reusable after proper decontamination. 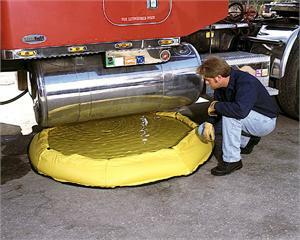 Note: 250 and 400 gallon Pop Up Pools are constructed of orange, 18-oz PVC material. 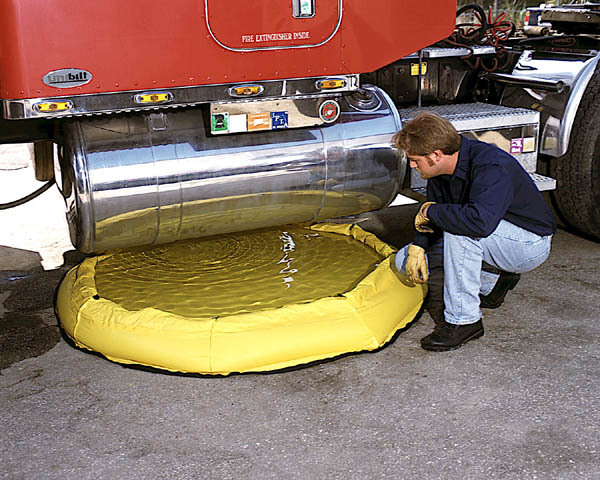 Ultra-Pop Up Pools are available in 400, 250, 150, 100, 66 and 20 gallon sizes. Choose Sprung Steel or Economy Models† to meet your needs. Simply remove them from their protective carrying case and give them a quick shake — they instantly expand and are ready for response to any emergency. 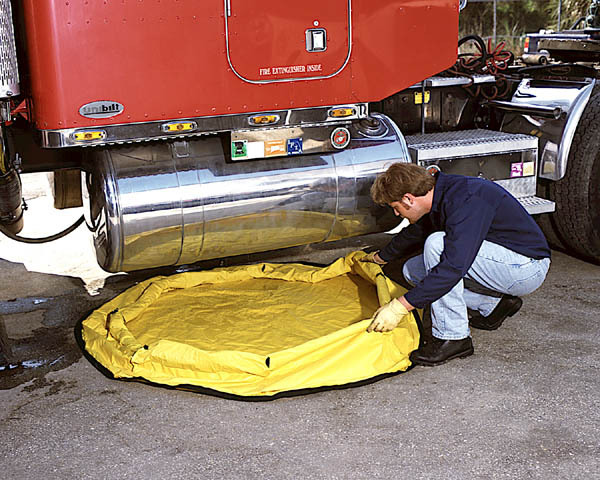 Excellent for response to damaged saddle tanks and cross-over lines, hazmat spills, leaking containers, machinery and piping. Other applications include use as a decontamination pool and collection pool for soiled sorbents. 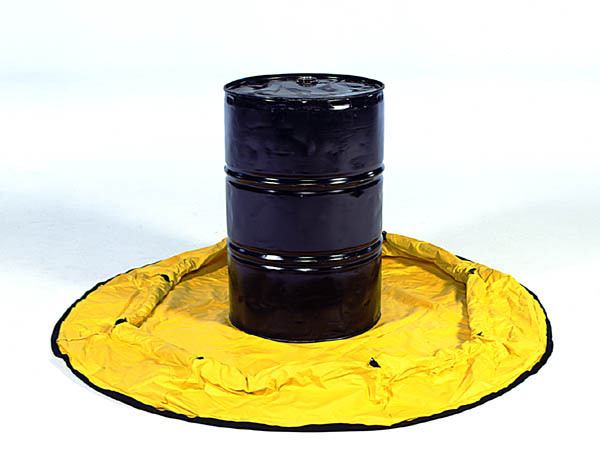 * Storage bags are included with Sprung Steel Models only. Optional storage bags are available for Economy Models. * 250 and 400 gallon sizes not available in Sprung Steel Model.